Wine About It…The 11th Pinot Noir Summit is Here! 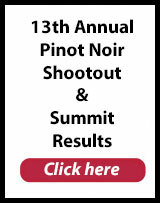 So glad you will be joining us for the 11th Pinot Noir Summit! PLEASE! DO NOT WEAR SCENTED PRODUCTS. Scented hair products, cologne, perfume or after shave may interfere with the enjoyment of the wines. ABSOLUTELY NO SMOKING IN OR AROUND THE BUILDING. If you must smoke, please do not smoke near the building. It would be a terrible shame if smoke deterred from the enjoyment of these wonderful wines. Please note that to properly locate this venue using GPS, you MUST put in the zip code (94129). This is in THE PRESIDIO not Fort Mason. When you arrive, find a place to park, there is lots of free parking in and around the building. Enter the building at the front entrance on Moraga Avenue. 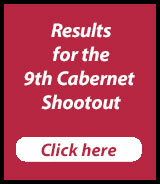 YOU WILL BE ABLE TO PURCHASE WINES DIRECTLY FROM THE WINERIES AT THE GRAND AWARDS TASTING! ALL DAY ACCESS – The first workshop begins promptly at 12:30 PM. Please plan to arrive 15-20 minutes early so we can check you in and get you seated ready to enjoy the day. GRAND AWARDS TASTING and CEREMONY – Check-in will begin at 5:45 PM with a 6:00 PM start time. Want to know what you’ll be tasting? Check it out! Previous post: Pinot Noir Lovers Unite!